Welcome to November, a month to remember. 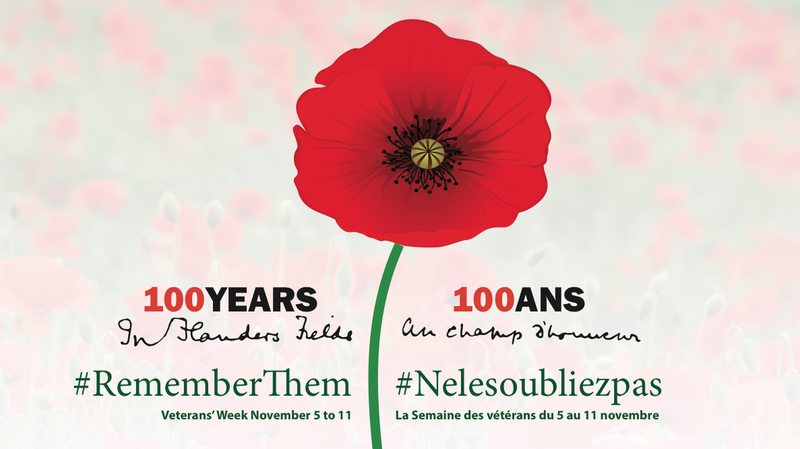 All are invited to attend the school Remembrance Day Assembly on November 11 at 9:10 in the morning. Poppies and poppy stickers will be available. Donations to the Poppy Fund are welcome. Danforth/Coxwell library is showing the Disney feature ‘Inside Out’ at 2PM. Free! S. Walter Stewart library has a craft session called “Make a Button or Two” at 2PM. Free! Jack of Sports day camp. Visit www.jackofsports.com for fees and to register. Monarch Park Stadium day camp. Visit www.monarchparkstadium.com for fees and to register. Ontario Science Centre “Foolproof Forensics” day camp. Visit www.ontariosciencecentre.ca and to register. Lucsculpture PA day camp. Visit http://lucsculpture.com/kids/pa-day-camp/ for fees and to register. For those who can’t let it go when it comes to Anna and Elsa….Pegasus Studios Frozen Princess day camp. Visit http://www.pegasusstudios.com/pa-day-camps.html for fees and to register. TIFF Family Fridays. See the Iron Giant or Wallace and Gromit on the big screen. Visit http://www.tiff.net/fall2015-series/tiff-kids-family-fridays to purchase tickets. How do you get to Carnegie Hall? Practice, practice, practice – and fundraise. The Toronto Beaches Children’s Chorus is showing the Iron Giant at the Fox Theatre as a fundraiser for their trip to Carnegie Hall in June 2016. Visit http://www.foxtheatre.ca/schedule#1447390800 for the schedule, which includes Goosebumps for the older, cooler, students. A sure sign that Fall is in full swing at Earl Haig is the arrival of the Annual Pumpkin Patch, and once again, this year’s event was a huge success! Thanks to the fantastic volunteers who got up in the wee hours of the morning to unload pumpkins, bake muffins, and spend the day with our community selling all of the orange beauties and baked goods! We raised $1166.23 which will go towards enriching the learning environment of all Earl Haig students. A special thank you to Wendy Cullen (our #1 lunchroom lady) who started the Pumpkin Patch tradition 10 years ago – long live the Earl Haig Pumpkin Patch! This fall a team of 17 grade 6-8 Earl Haig girls were conference finalists at the TD East Bordenball championships. Way to go girls! Earl Haig is proud of you, as is Mr. Taylor. Which leads us to the second us the second question … what the heck is Bordenball? Bordenball is a high intensity sport that melds the skills of European handball, ultimate frisbee and basketball. Designed at Camp Borden (hence its funny name) to intensify soldier’s workouts. According to Mr. Taylor, its an excellent game to enhance girls fitness, play outside and develop the skills for basketball. Way to go Earl Haig Bordenball girls! Mr. McLachlan is one of the Danforth’s own, a Danny Boy as they (well, only me really) would say. As a child Mr. McLachlan played in East Lynn Park, cross country skied in Taylor Creek and spent hours at S. Walter Stewart Library. In fact, before coming to Earl Haig, Mr. McLachlan (or Mr. McDanny as some (again, only me) call him) was the principal at nearby Gledhil P.S., the very school he attended as an elementary student! An owner of 12(!) bicycles, Mr. McLachlan personifies an active, outdoor-loving lifestyle. As a student at Queens University, he studied Outdoor and Experiential Education. He then began his teaching career at a Toronto Outdoor Education Centre, where among other things, he tapped trees to make maple syrup, hiked provincial parks and kept bees. As a classroom teacher, Mr. M advocated the importance of getting students out in to the world to ‘learn on their feet’, allowing them to “grow as whole people”. And for the kids here at Earl Haig, he sees a world of opportunity to connect with our vibrant community and explore all that Toronto has to offer, from The Beach to the ROM. 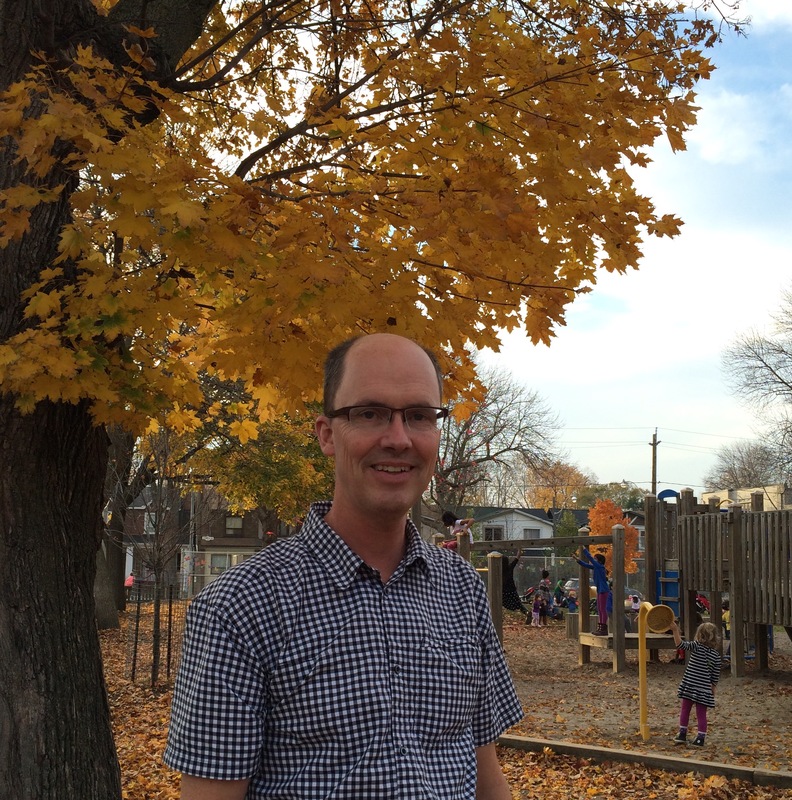 With his first few months at Earl Haig under his belt, Principal McLachlan is very appreciative of the warm welcome he has received. He enjoys being able to visit each classroom to engage with the students and teachers (and is especially impressed with how many kindergarten students can properly pronounce “McLachlan”!) He looks forward to getting to know each student at Earl Haig by name. If you have any questions about the school, or if you just want to chat about the neighborhood, Principal McLachlan invites you to stop by his office. School Photo Re-take Day – November 10 from 9-12 in the morning. Next School Council Meeting – Tuesday November 17 at 7:00. Next Next post: The Fundraising Issue….